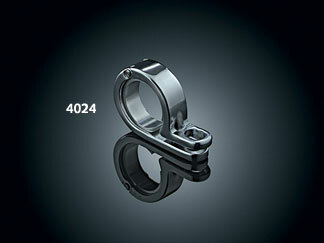 Used for mounting Silver Bullets with 5/16"-18 Mounting Bolt to Engine guards or down tubes. Can be used for mounting a lot of other different items. One slick little clamp, this chrome-plated stainless steel P-Clamp has many uses. It works great for mounting Silver Bullets and many other types of accessories and lights to frame tubes, Handlebars or engine guards. 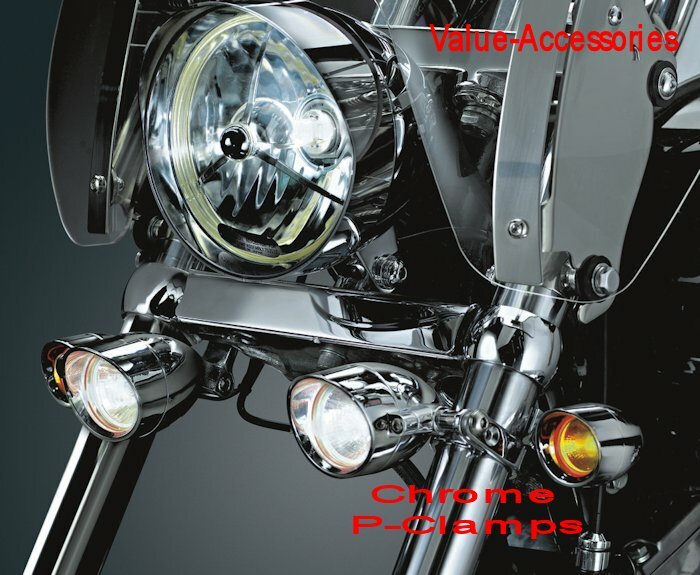 This is an extremely easy way to add aux lighting to your bike without adding a full light bar. 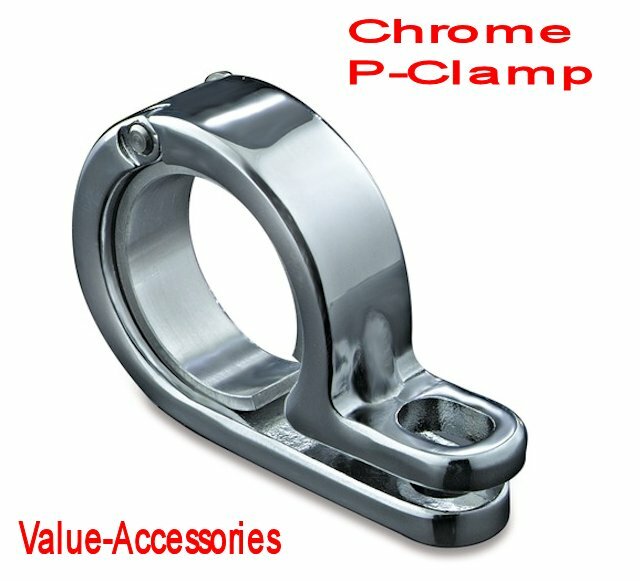 Mounting is very secure because this P-CLAMP is secured to the tubing by both a flat head screw and the fastener used to attach the accessory. The clamp has a 5/16-inch mounting hole. Available in 7/8 - 1", 1 1/8" - 1 1/4" or 1 3/8 - 1 1/2", pick your size above. Small Silver Bullets measure 2-1/2" x 1-5/8"
Large Silver Bullets measure 3-1/4" x 2-5/16"